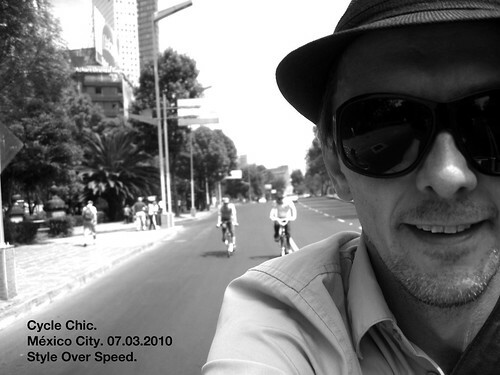 Here's some more photos from my Sunday ride down Reforma boulevard in Mexico City last week. 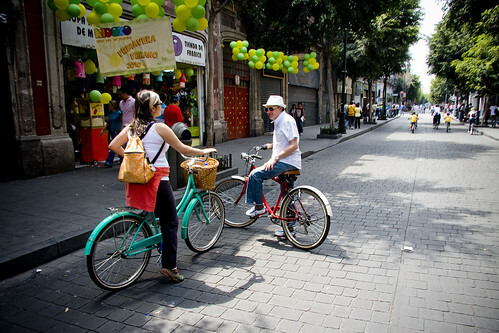 Classic Cycle Chic Mexicana style. A potpourri of bicycle action. 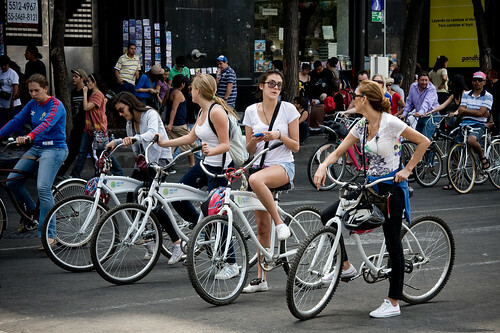 A cool conversation in town, heading towards Reforma. Four girlfriends on rental bikes enjoying the day on two wheels. It's nice to see the good citizens of D.F. riding their bikes. There is so much negativity about crime such as kidnappings but these people are not letting that shake them. I love seeing people biking in different countries, thanks! That gonna be broadcasted by the CNN.